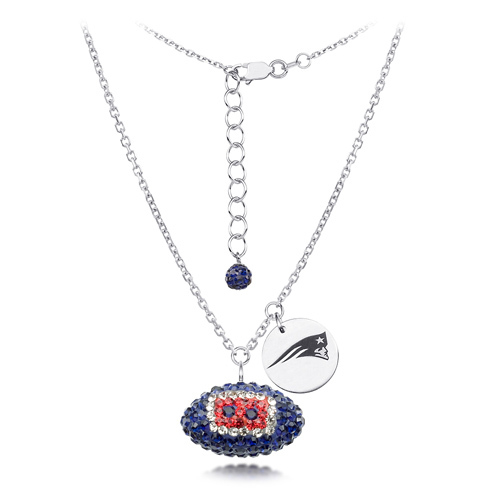 New England Patriots crystal football necklace features blue, red and white Austrian crystals. Sterling silver 18in diamond cut cable chain and lobster clasp. Football dimensions: 17mm, slightly smaller than a dime. Officially licensed.